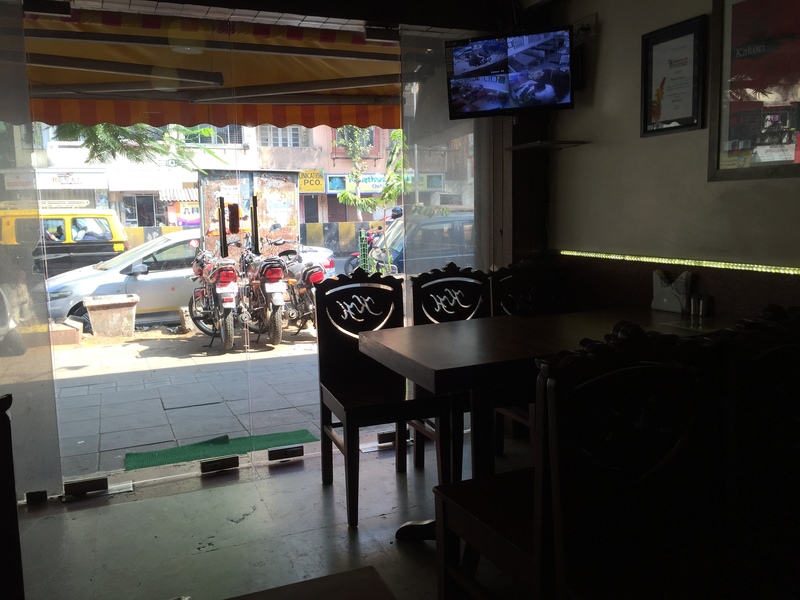 Mind blowing kakori kabab, awesome biryani and an assortment of good, average and bad food. 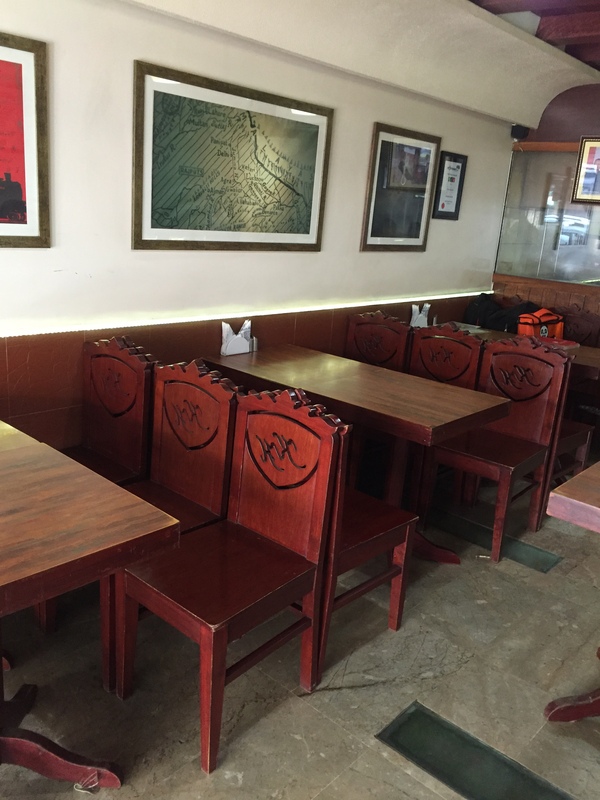 The restaurant is a small 15 seater air conditioned restaurant in Mahim. 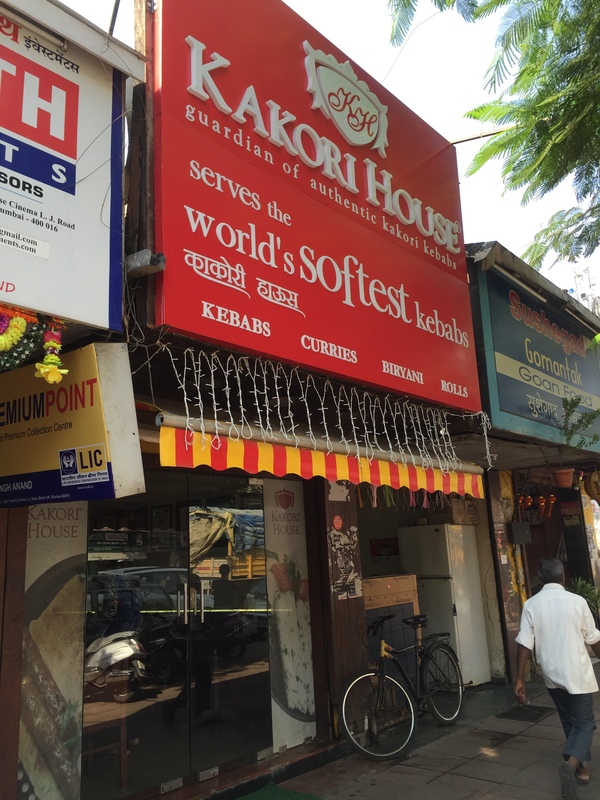 Situated on the main road, the signboard proclaims ‘World’s softest kababs’. The CCTV camera and also the TV are placed in the tiny dining hall. 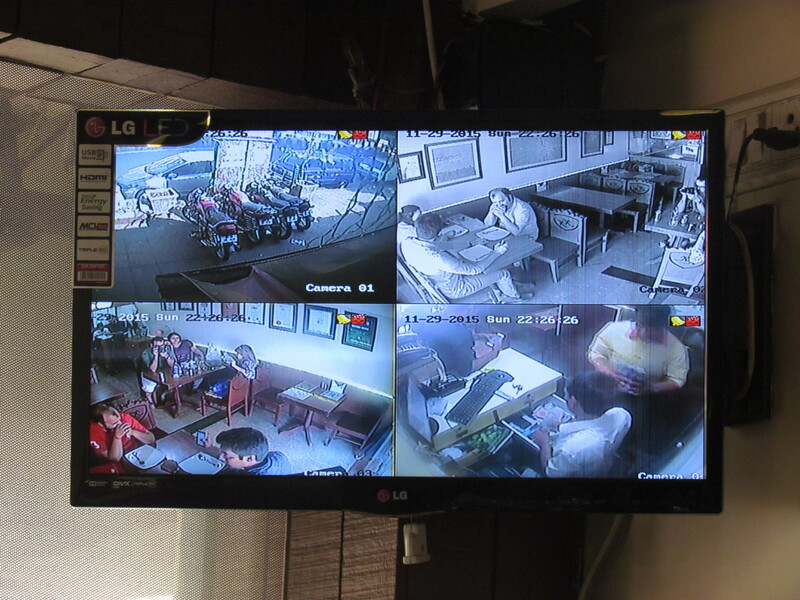 Funny coz why shud guests at the restaurant b bothered to watch CCTV proceedings. On the walls they had put up a line of framed awards that they have won. The serving boy was quite robotic. He was good at mechanical jobs but had no clue about anything related to the dishes. He gave vague answers when asked ‘what is the difference between dish X and dish Y. Food as I mentioned above, ranged from bad to mind blowing!!! 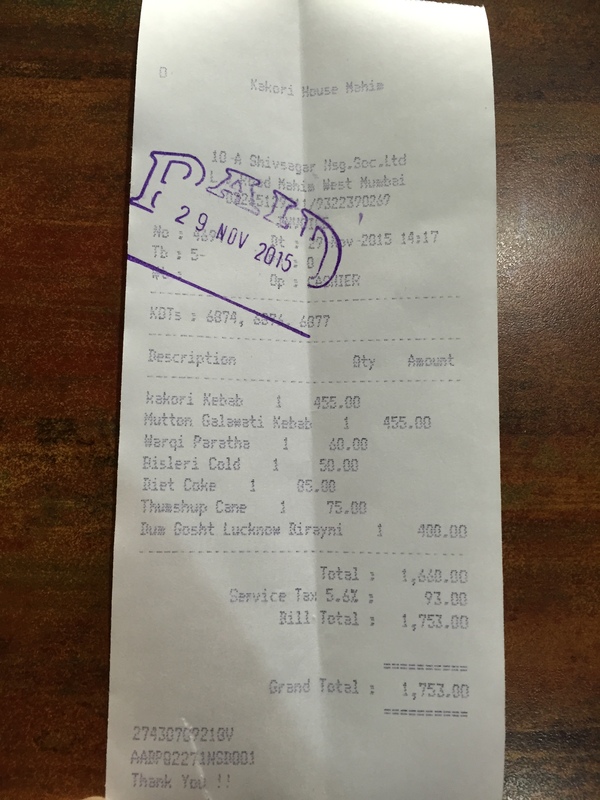 Galawati kabab was similar to, but slightly better that tunday kababi of Lucknow. 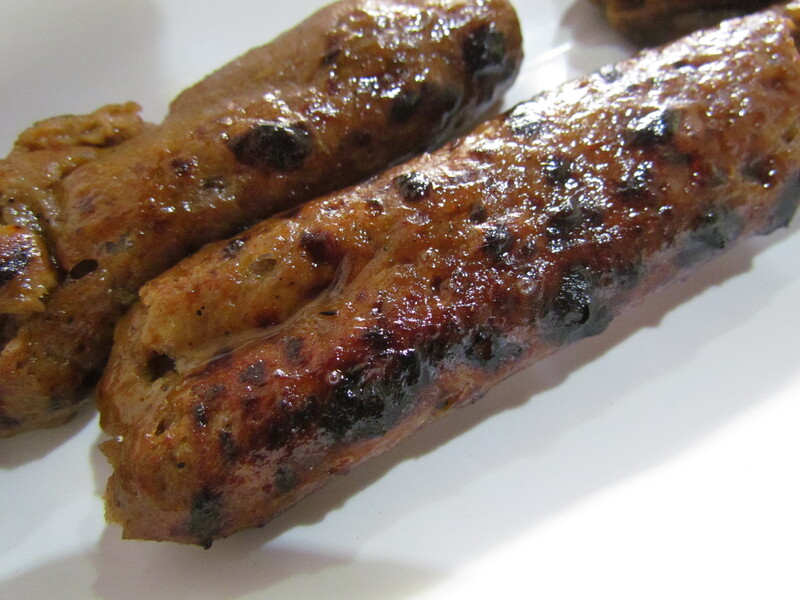 These kababs lacked the finesse of the Galawati kababs at Kitchen of Awadh or at Kainoosh or even at Oudh. Flavours of spices did not make their presence felt. The meat was a bit more charred than enjoyable. Flavours of meat were very good though. Rate it 3.75/5. 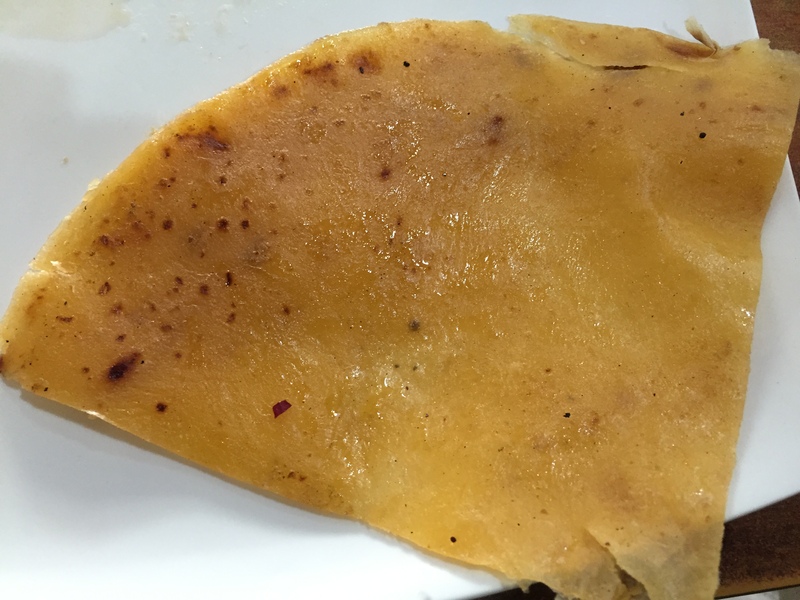 Warqi paratha was a bad , almost brittle , plasticky paratha with too much red Color added to it. Neither was it soft , nor was it warm. Rate it 1/5. 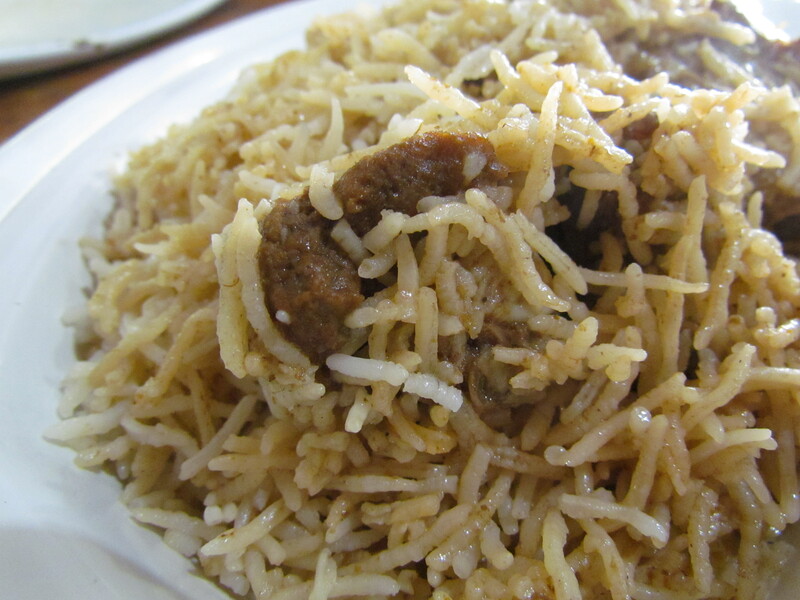 Dum Gosht Awadhi biryani was very enjoyable again. It had long grains of independent, super soft , flavourful rice that was cooked in an abundance of ghee. The result was that the biryani was not dry and the rice was just awesome. The meats were very good as well. Very soft, flavourful and yumm. Rate it 4.5/5. 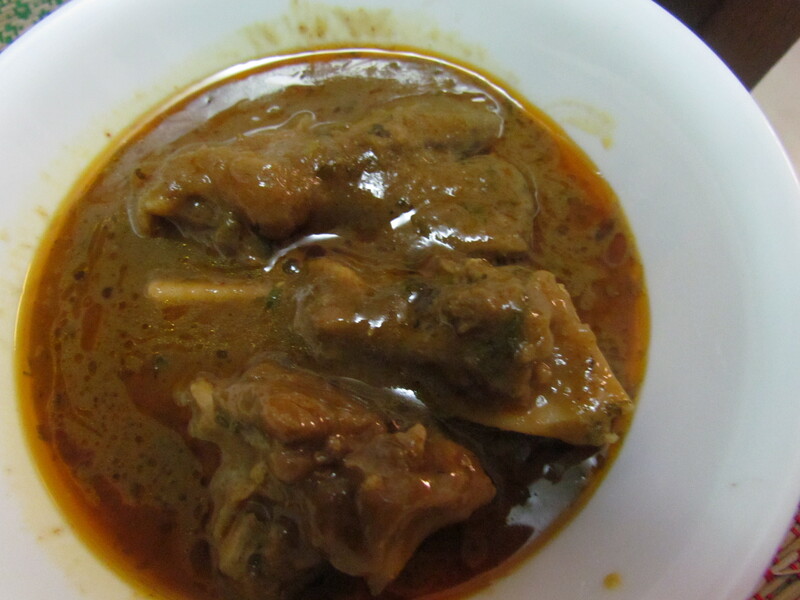 Next dish we had was Nihari gosht. 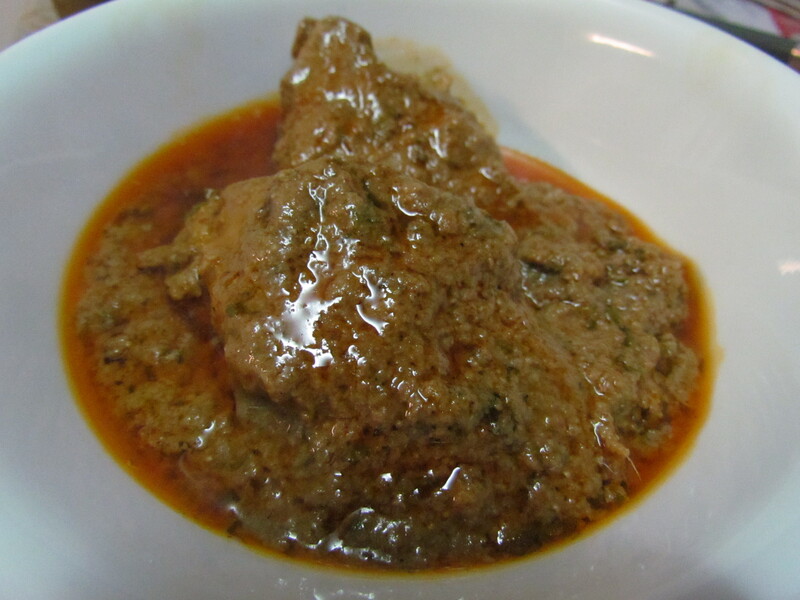 The meat was not as melt in the mouth that is expected in a nihari, owing to whole night slow cooking. The gravy was bad in terms of flavour, texture & taste. 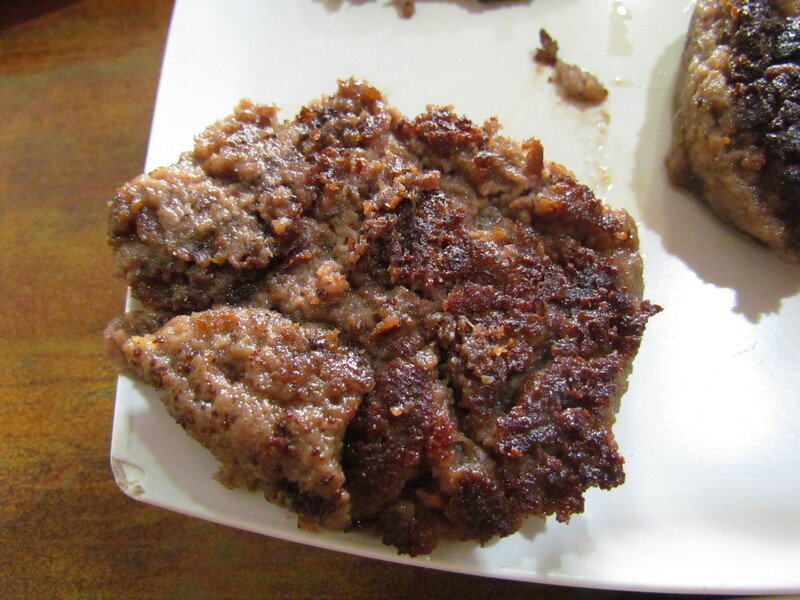 Would rate meat 3/5 and the gravy 1/5 which was over thickened using something like wheat flour. It was too bad, specially after we have enjoyed Nihari at the likes of Kallu nihariwale, Haji Shabrati nihariwale of old Dilli and at Idris hotel of Lucknow. No match to even the nihari at Karims. 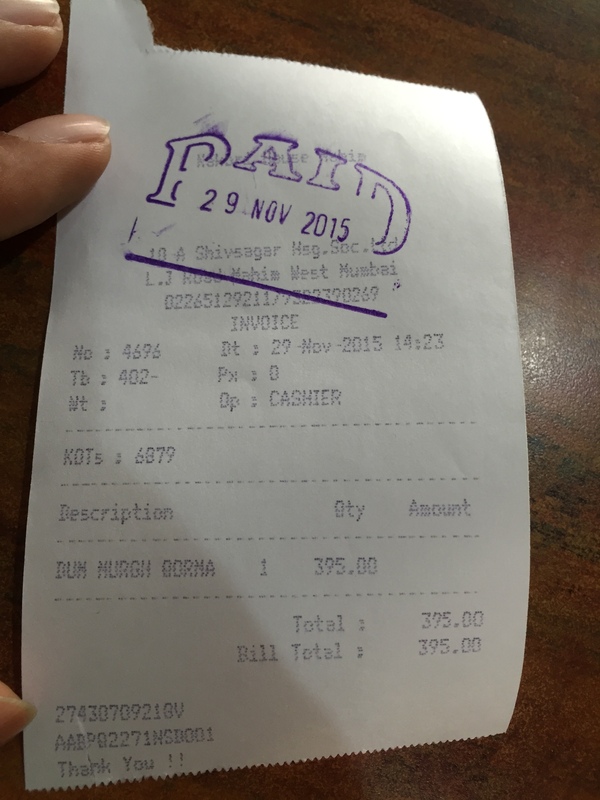 Dum murg korma was nice – it was spicy , oily and hot but very yumm. The chicken pieces were soft and nice as well. Reminded me of our meal at Dastarkhwaan, Lucknow. Rate it 4.25/5. 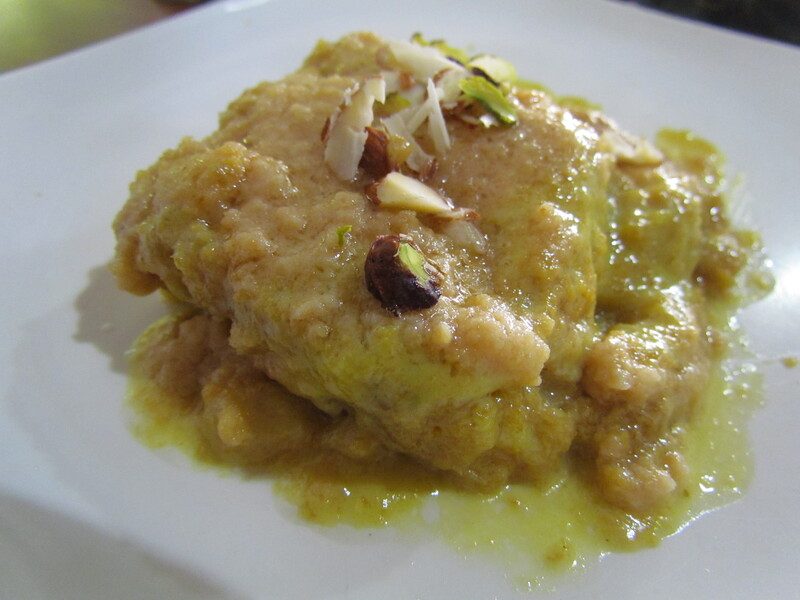 Shahi tukra was an ugly-ly presented dish that tasted pretty good. It had a tinge of salt and not too much sweet. It was very soft and nice. Rate it 4.25/5. 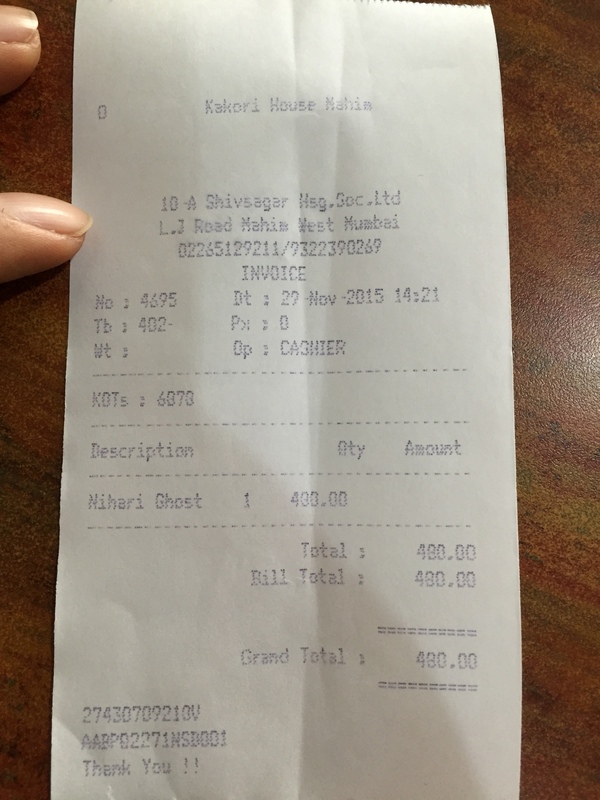 Overall rating of food at Kakori House averages out to 3.2/5. 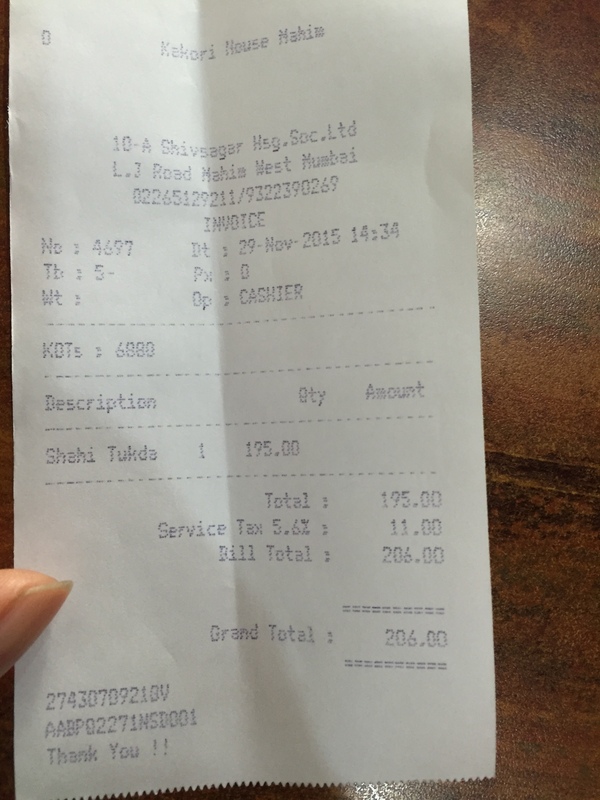 Will surely get back here for the kakori kababs and the biryanis & wud surely avoid everything else.